Wondering what gifts to get for the gardeners in your life? Or feel like treating yourself to something new and fun? Whether you're thinking fragrances, garden and home statuary, a beautiful pot filled with blooming annuals and perennials, or something as lasting as a tree (we'll even plant it for you), we have some great suggestions. Come in and see our collection - the gardeners on your list will be glad you did. 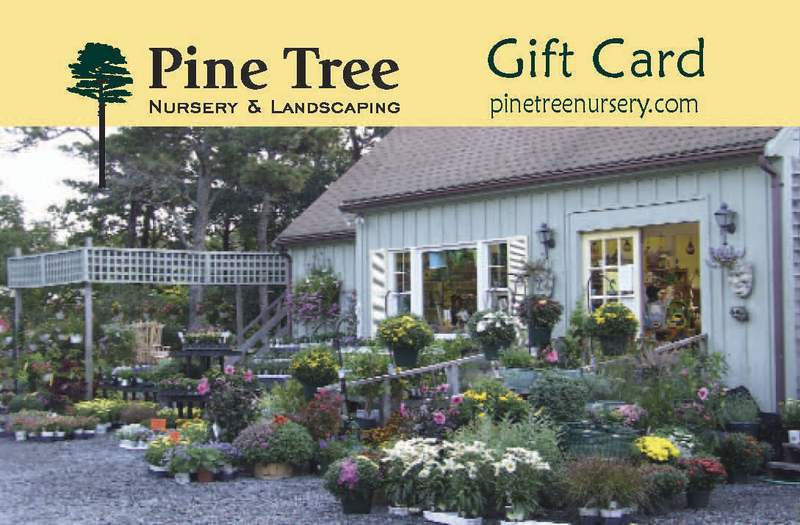 And if you're just not sure, a Pine Tree Gift Card is always appreciated. 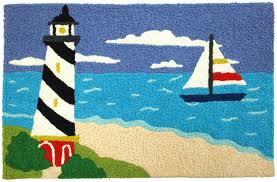 JELLYBEAN RUGS - These durable indoor/outdoor rugs are machine washable in cold water with like colors. You may dry your Jellybean in the dryer on low or no heat without worry! They're so tough they can go outside in the sun, the rain, and the snow without worry. Pine Tree has a selection of delightful patterns inspired by land & sea. Each is about 20" X 30". 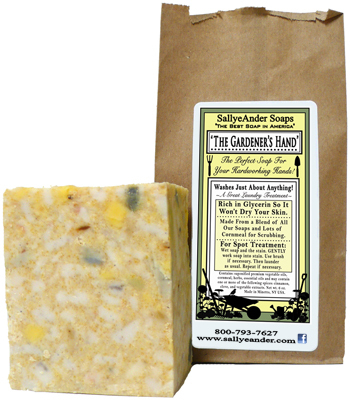 THE GARDENER'S HAND SOAP from Sallye Ander Soaps - Excellent hand scrub for gardeners, mechanics and kids! Also try it on your toughest clothes stains. Made in NY from a blend of our soaps and cornmeal, so there's nothing harsh to worry about! Rich in glycerin so it won't dry your skin or harm clothing. Try it on grass stains, food stains, bubble gum, blood, pitch, grease, grape juice, set-in mildew, printers ink, etc! BIG chunky bars are long-lasting. 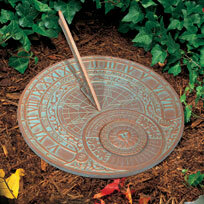 LARGE OUTDOOR THERMOMETERS & SUNDIALS - Requested by so many of our customers, here is a collection of thermometer, clocks and sundials, handcrafted in the USA by Whitehall Products. Just a few styles are shown here. Large & easy to read. A practical and beautiful way to enhance your garden and outdoor living area. 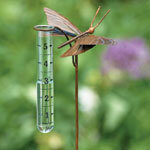 WHIMSICAL RAIN GAUGES - Practical, yet whimsical, these rain gauges add an artful touch to any landscape or garden. Made with copper and glass, they come on a 28" stake. Styles include butterfly (shown), snail and apple blossom. These make great gifts for anyone who loves nature. CONANT CLASSIC THERMOMETERS - Finished in brass, antique copper or stainless steel, these classic weather instruments combine practical simplicity with timeless design. The Vermont Weather Station pictured here monitors both temperature and humidity, and is resistant to corrosion, guaranteed for life. 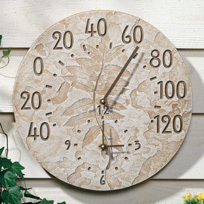 We have other styles of thermometers, as well as rain gauges. Fish are a very popular decorating motif on the Cape. These playful wooden fish are made of recycled materials and come in an assortment of colors and adornments. This blue whale is just one of many different styles and colors available at Pine Tree. 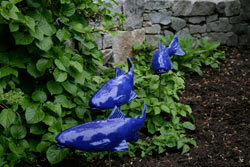 These stainless steel and ceramic fish from Maine artist Tyson Weiss will bring color and movement to your garden. 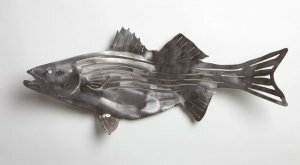 The stainless steel Striped Bass come with mounted rods for outdoor installation, or can be hung on outside or interior walls. The ceramic fish come with a mounting rod for garden use and a white base for indoor display. Avaliable in the blue shown as well as in a lighter blue. All these fish make great outdoor or indoor groupings. Considered by many to be their "gardener's bible", this is the best book for showing you how to control size, shape and blooming pattern of perennials in your garden. 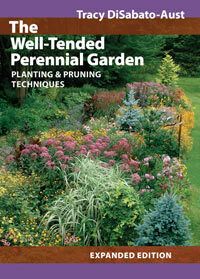 This comprehensive book details essential practices of perennial care such as deadheading, pinching, cutting back, thinning, disbudding, and deadleafing, as well as information on site selection, soil preparation, planting and disease and pest control. Also included is an extensive encyclopedia of perennials and a month-by-month calendar of pruning and maintenance tasks and a list of perennials arranged in 35 categories related to their specific pruning and maintenance requirements. Plus over 200 color photographs. 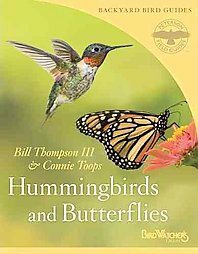 This book includes need-to-know information, including where hummingbirds and butterflies live, what they eat, and the best garden plants to attract them. The species profiles of the 15 most common hummingbirds and 40 most common butterflies serve as a field guide, showing ranges, identifying marks, and preferred habitats. Full-color photographs and detailed drawings make attracting, identifying, and feeding these colorful creatures a snap. 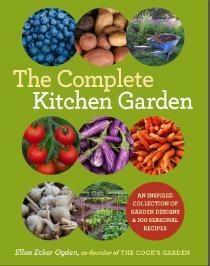 This book, written by the daughter of a Pine Tree customer, is a wonderful gift for the vegetable gardener. It includes fifteen full color kitchen garden designs along with detailed planting guides and step by step instruction, plus recipes made from the plants in each garden. Each garden design includes an illustrated drawing of the garden, overall size, bed size, path width and the materials used to create the beds or paths. Plus a list of the plants needed to create the look, as well as a description and planting tips on each of the vegetables and edible flowers mentioned. Also included are tips ensuring that the garden is successful, as well as recipes utilizing the bounty from each garden. How cool is that? 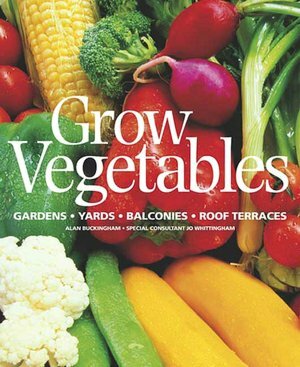 An admirable go-to guide for new and experienced gardeners alike, it offers step-by-step how-tos and practical advice showing how anyone can grow vegetables. Highlights include full color photos on every page, a month-by-month planner, descriptions of individual vegetables and a "vegetable doctor" outlining treatment for pests and diseases. These two top garden writers and teachers offer fun, organized and attainable advice on how to create gorgeous gardens. This book takes a step-by-step approach through the process of creating new gardens or bringing new life to gardens that have lost their luster. It shows how to pick perennials that make the most of plant color, shape, size and texture to create eye-catching conbinations. Illustrations accompany the 20 garden design plans, including everything from a minimum maintenance garden to a more complex container garden, from planting a formal border to indulging in the controlled chaos of a cottage garden. An excellent addition to the gardener's library.